From Cormac McCarthy, author of No Country For Old Men, comes the highly anticipated big screen adaptation of the beloved, best-selling and Pulitzer Prize-winning novel, The Road. An all-star cast are featured in this epic post-apocalyptic tale of the survival of a father and his young son as they journey across a barren America that was destroyed by a mysterious cataclysm. A masterpiece adventure, The Road boldly imagines a future in which men are pushed to the worst and the best that they are capable of - a future in which a father and his son are sustained by love. $1.502 million on 111 screens. We get a bit of a twist on the standard “post-apocalyptic wasteland” scenario from 2009’s The Road. 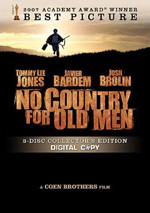 Based on a Pulitzer Prize-winning novel by Cormac McCarthy, an unexplained cataclysm engulfs the world and leaves the land in decaying ruins. We only see those elements in flashbacks, though, taken from the perspective of an unnamed man (Viggo Mortensen) who struggles to survive along with his son (Kodi Smit-McPhee). All the animals and plant life have died off, so they get by on whatever scraps they can find in the various abandoned locations. We follow their journey and occasionally revisit the time right after the disaster to see the man’s wife (Charlize Theron) and how the catastrophe developed. After the success of the Lord of the Rings series, Viggo Mortensen seemed primed to become a significant Hollywood leading man. This doesn’t occur, though I suspect that’s more due to Mortensen’s wishes than anything else. Over the last six-plus years, he seems to have largely avoided “star vehicles” and has opted for darker flicks instead. Flicks like The Road. This is a movie in which the possibility of suicide hovers over the story; heck, we’re only about 10 minutes into the film when we see the man show his kid the best way to kill oneself with a pistol. The tale goes down quite a few bleak paths and can be harrowing. This isn’t a story that seems likely to come with a happy ending. Not that Road is a constant assault; it does throw in moments of warmth between the man and his son. Nonetheless, it’s a rough experience in terms of the various threats and their impact. Murder, suicide, cannibalism – it’s fun for the whole family! I don’t fault the film for its darkness, though; apocalypses don’t tend to be cheery times, and I appreciate the realistic nature of the story. We don’t get the usual zombies/mutants/aliens that normally populate this kind of tale. Nature and other people create the biggest threats to our main characters; apparently when the world nears an end, rednecks will be the last to go! While I find the film’s premise and dark nature to be intriguing, it loses points due to its lack of real narrative and character development. I feel more dissatisfied with the latter than with the former. Road is really just about survival, so a more concise plot wouldn’t make sense. We know that the man and his son are heading south, with the hope that things’ll be better if they reach “the coast”, but that’s about it in terms of story. And that’s fine, as a more developed narrative wouldn’t make sense here. However, I would like better character definition to give us a better reason to care about the participants. The boy is made out to be vaguely messianic, I suppose, and he’s definitely his dad’s Jiminy Cricket, but otherwise the two parts lack a lot of depth. Essentially that leaves Road as an episodic piece in which the two leads wander in search of food and shelter and they occasionally run into trouble. The movie boasts some interesting philosophical implications, but it doesn’t explore them especially well. It keeps things far too much on the surface, as the survival tale dominates. This only goes so far, and the story becomes fairly tedious after a while. Without stronger substance behind the plot or more involving characters, the basic premise cannot carry things for an extended period. Road had potential that it occasionally fulfills, but it sags too much as it proceeds and it lacks the depth to make it a great film. The Road appears in an aspect ratio of approximately 2.35:1 on this Blu-Ray Disc. Not an eye-popping presentation, the transfer served the material well. Sharpness always looked good. The film exhibited nice clarity and delineation at all times; I noticed no issues with softness or haziness. Jaggies and shimmering failed to distract, and edge haloes remained absent. The movie also lacked any source flaws and was consistently clean. In terms of colors, Road went with gray and brown punctuated by occasional orange fire. This was expected, as post-apocalyptic wastelands tend to be pretty bland. The hues never stood out as memorable, but they weren’t supposed to be impressive, so they were fine for this story’s stripped palette. Blacks were pretty deep, and shadows were generally fine. I thought they could be heavy, but I suspect that was a photographic choice. Overall, the transfer worked fine for the challenging material. With a story that focused on a long journey by foot in a desolate countryside, I didn’t expect much from the DTS-HD MA 5.1 soundtrack of The Road, but it proved to be pretty dynamic. Various natural elements provided the majority of the information, as fires, earthquakes, storms and wind opened up the spectrum. These could be quite active and impressive. Quieter atmospheric bits worked well, too, and the score showed good stereo presence. In addition, audio quality satisfied. Some lines were a bit tough to understand, but as with the heavy shadows, I figured much of this was intentional to match the setting. Overall, dialogue was reasonably natural and distinctive. Music sounded lively and full, while effects provided good clarity. Those elements seemed accurate and boasted nice vivacity. This became a surprisingly positive presentation. When we head to the set’s extras, we start with an audio commentary from director John Hillcoat. He provides a running, screen-specific look at the source novel and its adaptation, cast and performances, cinematography and visual design, various effects, sets and locations, music, costumes and makeup, and various challenges. At the start, Hillcoat warns us that he plans to “wing it” for the commentary. This may lead one to believe that his chat will be rambling and problematic, but the opposite proves to be true. Hillcoat delves into a wide variety of appropriate topics and does so with surprising coherence and depth given his decision to “wing it”. This ends up as a very strong, informative piece. Five Deleted/Extended Scenes fill a total of six minutes, 38 seconds. These include “Lightning Man” (0:48), “Caravan - Extended” (0:50), “Dog in Mall” (1:03), “Sharing an Apple” (2:00), and “Saying Goodbye” (1:57). Most of these simply reinforce the same themes/ideas beaten to death in the final film; the man is a brutal realist focused on one goal, while the boy is more compassionate. Nothing new or interesting appears here; the clips are pretty redundant. 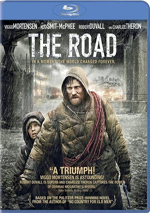 The Making of The Road goes for 13 minutes, 47 seconds and provides remarks from Hillcoat, producer Nick Wechsler, screenwriter Joe Penhall, and actors Viggo Mortensen, Charlize Theron, Michael Kenneth Williams, and Kodi Smit-McPhee. The show looks at the movie’s story, characters and themes, the source novel and its adaptation, cast and performances, locations, and visual elements. A fair amount of information repeats from Hillcoat’s excellent commentary, so don’t expect much fresh material. Still, it’s not bad as far as promotional programs go. A few ads open the disc. We get clips for Youth in Revolt, A Single Man, Chloe and Unthinkable. These also appear under Previews along with promos for Nine, The Last Station, and Legion. In addition, the disc throws in two trailers for Road. Taken from a highly successful book, The Road promises a rich twist on an old premise. However, it doesn’t offer enough substance to make it worthwhile; it tends to ramble and lacks the heart and depth to keep us with it. The Blu-ray provides very good picture and audio; it doesn’t pack a ton of supplements, but it comes with a terrific audio commentary. While not a bad film, The Road disappoints.